Stunning Views-Professional Shop! A unique home on 2+ private acres with Mountain top views and a brand new 600 sq foot Redwood deck. Professional 1500 +sq foot shop is a dream space for projects. A main level kitchen with granite countertops opens to the living room with a beautiful wood fireplace covered in stone where you'll create a lifetime of memories. Dining room,office and powder bath complete the main level. Upper level has 3 bedrooms & full bath featuring a master suite and a 5-piece master bath. Walk out basement is large & open for entertaining including - Walk out french doors to a stamped concrete patio that is landscaped with a fish pond. A private 4th bedroom is accessed from the basement can serve as a guest quarters or teen room and has its own private deck. Less than 5 minute drive to C470 for easy commute to Denver. New roof & deck with paved driveway and RV parking. 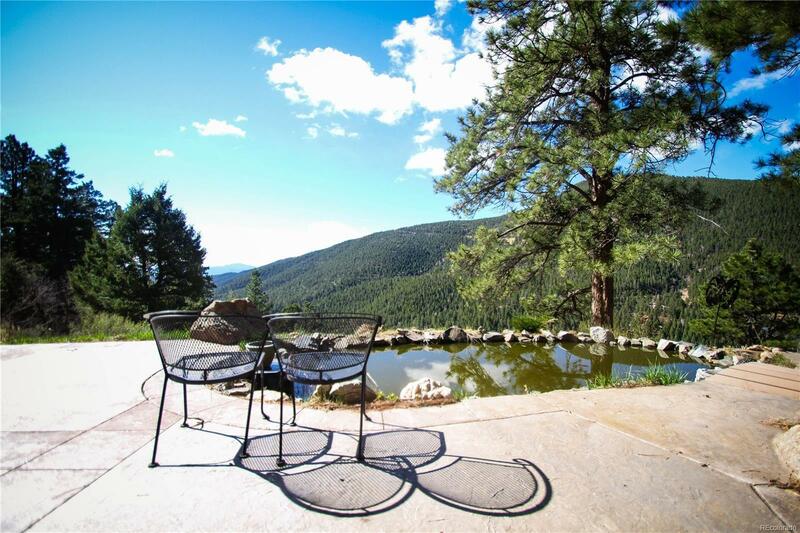 This is a must see Mountain getaway home where you can be in touch while out of reach!